The obverse depicts a Chicago Police Canine with “Fur Missile” emblazoned in above over a sunburst and checkerboard background. 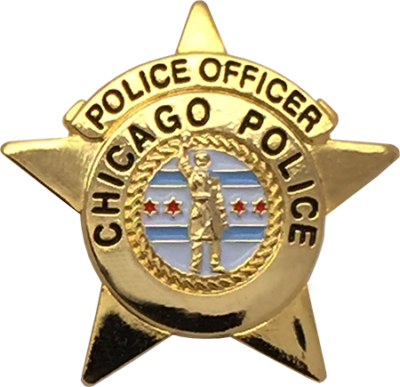 The obverse also features “Chicago Police Department – Canine Unit” raised around the perimeter and two Chicago flags flanking each side of the Canine. 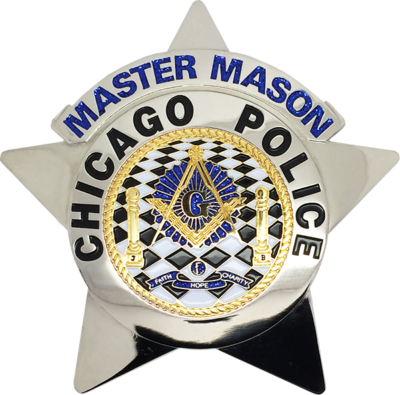 The reverse depicts a six point Chicago Police star over a light blue and the Chicago skyline at the fore. The reverse also features “Loyalty * Courage * Integrity” raised around the perimeter and two United States flag flanking each side. This High-Quality coin is Die Struck and expertly crafted. Each coin is meticulously painted and polished to provide an end product which will offer a beautiful luster and durability to withstand the test of time. The obverse depicts a Chicago Police Canine with “Fur Missile” emblazoned in above over a sunburst and checkerboard background. The obverse also features “Chicago Police Department – Canine Unit” raised around the perimeter and two Chicago flags flanking each side of the Canine. The reverse depicts a six point Chicago Police star over a light blue and the Chicago skyline at the fore. The reverse also features “Loyalty * Courage * Integrity” raised around the perimeter and two United States flag flanking each side. Coin features a polished nickel finish with polished brass accents and full color detail on both sides. Coin comes in a vinyl sleeve.